In recent years, human rights, understood as a form of transformative practice, have been attacked from both left and right. 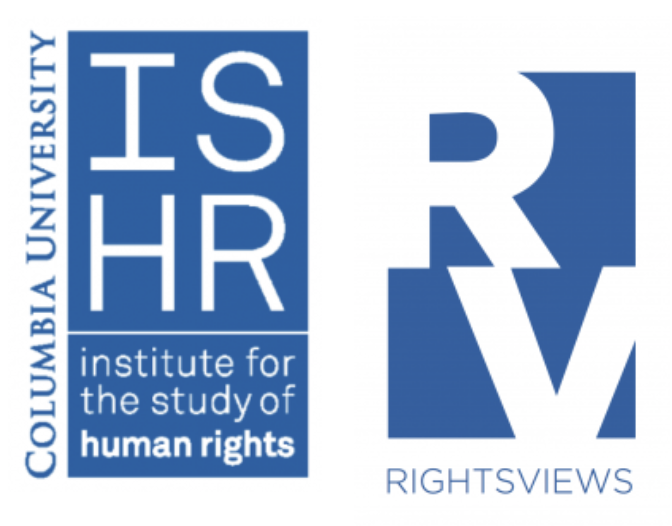 On the right, human rights are increasingly framed as weapons in the arsenal of a liberal internationalist agenda, designed to weaken national security and national identity. On the left, insofar as they fail to attend to the structural underpinnings of violations, human rights are, if not a cover for neoliberalism, then at least complicit in its expansion. For human rights advocates, the question of how best to respond to critics from the right is largely a political and strategic one, a matter of defending territory, building alliances, and working out appropriate framing for campaigns. Responding to critics from the left is less a matter of altering the outward face of human rights than of turning inwards to critically reflect on the orientations, assumptions, logics and strategic toolkit of human rights. The question of what doing this entails is what inspired me to develop an experimental project on the prevention of torture. Along with an inter-disciplinary and international team, I conducted research on ‘the root causes of torture’, with a particular focus on the police and armed police in Nepal and the police and military in Sri Lanka. On the basis of this research, and with a particular focus on the factors within security sector organizations that created the conditions for torture to occur and persist, we then sought to develop and pilot preventative strategies that sought to address some of torture’s root causes by effecting systemic organizational change. To be clear, the type of torture we were interested in was not the spectacular torture that largely attracts media and public attention, but the habitual torture that takes place as a matter of course in places of detention throughout the world: the beatings, the humiliation of detainees that happens as a matter of course. Undertaking a project of this type is challenging and fraught practically, conceptually and ethically. If, however, we believe that what drives and sustains torture is more than malevolent intention or political ideology, either on the part of direct perpetrators or those higher up, then we need to step in close to capture the actual factors – structural, systemic, procedural and cultural – that authorize, incentivize, legitimate, facilitate, and create opportunities for torture to occur. In fact, one of our findings was that, contrary to the way we tend to think about the structure of authority in states where torture is endemic, in many cases, torture does not emit from the commands of higher ups in an imagined vertical chain of command. Rather, it emerges from a more complex set of interacting factors distributed across an ecology that comprises the political system, the criminal justice system, the broader culture and society, dominant ideologies, and the organizations where torture occurs. This does not mean that individuals don’t matter, or that we should cease holding them responsible (and criminally liable) for their role in the authorization and enactment of torture; but it does mean that when it comes to developing effective strategies for prevention, focusing on the choices or orientations of individuals without attending to the contexts that condition such choices and orientations will always fall short. 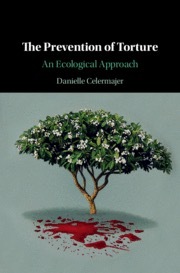 As I argue in The Prevention of Torture: An Ecological Approach, keeping the reasons for punishing perpetrators distinct from the question of what is effective by way of preventing torture both protects the integrity of the logic of punishment, and allows us to examine the question of prevention without being compelled by the ethics of individual responsibility. A further key argument I make in the book is that, while necessary, formal law (not only criminal law, but also laws seeking to effect systemic change), is far from sufficient when it comes to bringing about the type of wide-ranging and sustainable institutional reform required to prevent torture. In their recent comprehensive empirical comparative study of different approaches to torture prevention, Carver and Handley make a similar finding. They measure both the effect of particular types of interventions (like changing conditions of detention), and the effect of laws requiring those intervention, and they find that the latter fares far more poorly. The problem is that the reliance on law as a steering mechanism has dominated the human rights world for so long that we now find ourselves ill equipped, in terms of knowledge and skills, to develop other, potentially more effective tools for institutional transformation. In our torture prevention project, we drew on literature from public health and organizational change theory and practice to think through and try out other ways of shifting entrenched norms, behaviors and systems. I would certainly not claim that we were successful in implementing strategies that prevented torture in our target sites; but our work did suggest a number of approaches, as well as a framework for researching and mapping the factors that cause and condition torture that will, I hope, prove invaluable as others take up what remains a daunting challenge. Does this provide a response to the left critics who contend that human rights, as an approach, is incapable of addressing the structural underpinnings of violations? Well, it depends on what you mean by structural underpinnings. If you mean ‘global capitalism’ or ‘neoliberalism’, then clearly not. But if our role as scholars is to provide practitioners with frameworks and tools that they can take back into the field to do the critical work of prevention, pointing to invisible and unreachable forces like the structure of the economy is unlikely to prove helpful. As ‘structural practice-oriented’ human rights scholars, we need to think about structural underpinnings in a more expansive way. That means attending to the meso-level factors – the various structures and processes of the different systems within which torture is embedded. Learning how to identify these and then change them will be critical to effectively preventing torture. Danielle Celermajer is a Professor of Sociology and Social Policy at the University of Sydney. Her publications include Sins of the Nation and the Ritual of Apology (Cambridge University Press 2009) and The Prevention of Torture: An Ecological Approach (Cambridge University Press, 2018). 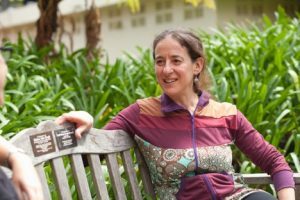 She is currently director of the Multispecies Justice Project at the University of Sydney.